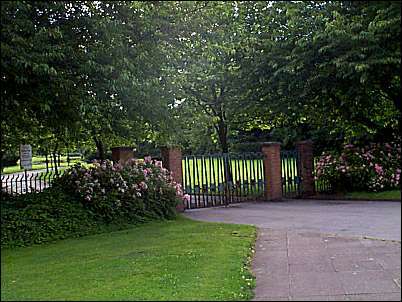 One of the later of the City parks - Fenton park was opened in 1924 on the site of Broadfield Colliery at Fenton Low, it was extended in 1957. 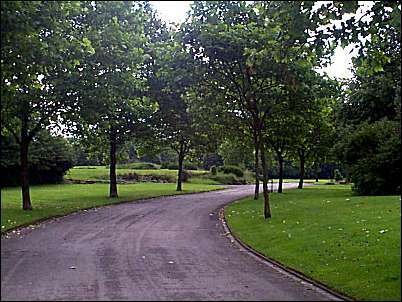 "Fenton Park, extended to 36 acres in 1957, is now the third largest park in the Potteries. The new section has four football pitches, with the necessary pavilions and changing accommodation. There are bowling greens and tennis courts in the older portion together with walks, flower beds and lawns." "His Worship said that, remembering the site as it was previously, it looked as of someone had made the desert smile". Fenton Park is home to one of Stoke-on-Trent's annual bonfire and fireworks displays in November. It offers a range of sporting facilities throughout the year, it has 4 football pitches a five-a-side area and 2 crown green bowling greens.